I didn't think I had a hoarding problem, but it turns out I kind of did! You see, I have always really really liked clothes, and I have a closet chuck full of them to prove it. I found myself 'cleaning out' my closet every few months and getting rid of a few things here and there, but honestly, never enough to make much of a dent. 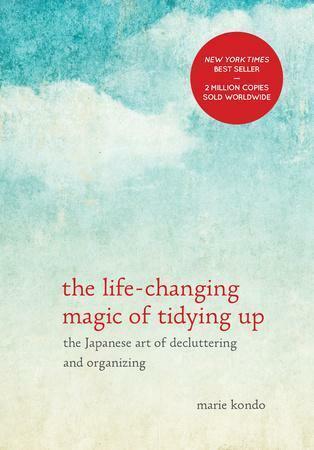 A little while ago I heard everyone talking about this hot new book, "The Life-Changing Magic of Tidying Up: The Japanese art of decluttering and organizing" by Marie Kondo, so I gave it a read. I am not even kind of exaggerating when I say that it changed my life!! I have always thought myself to be a pretty good organizer, but Kondo's methods totally blew me away and opened up a whole new way of thinking! I had never realized that physical clutter in your house doesn't just make for a disorganized and messy living space- it literally weighs you down emotionally and mentally as well. "A dramatic reorginazation of the home causes correspondingly dramatic changes in lifesyle and perspective. It is life transforming.....when you put your house in order, you put your affairs and your past in order, too." One of Kondo's most compelling arguments is that we go about cleaning out all wrong. We go through our closets and cupboards and houses looking for things that we can throw away, instead of deciding what things we truly cherish and want to keep! Her method is pretty straightforward. 1. Collect literally every single piece of clothing that you own, and throw it all on your bed. Bring it all to one place, so that you know exactly what you're working with. 2. Go through your giant pile, and one by one, pick up each article of clothing and hold it in your hands. Run your fingers along the fabric. Hold it up and ask yourself, "Does this spark joy?" If you can honestly answer that it does, in fact, make you incredibly happy and bring you pleasure, then keep it. If not, get rid of it. "The best criterion for choosing what to keep and what to discard is whether keeping it will make you happy, whether it will bring you joy. Are you wearing clothes that don't give you pleasure? Do you feel joy when surrounded by piles of unread books that don't touch your heart? Do you think that owning accessories you know you'll never use will ever bring you happiness? The answer to these questions should be no. Now imagine yourself living in a space that contains only things that spark joy. Isn't this the lifestyle you dream of? Keep only those things that speak to your heart. Then take the plunge and discard all the rest." It kind of sounds a little ridiculous, but I was amazed at how well it really did work! I decided to give it a go. I felt a little silly at first, but I am happy to report that this simple process helped me purge over 90, yes NINETY items from my closet!! I felt so liberated and free once I got rid of all the stuff (which turned out to be a lot more than I had anticipated) that didn't spark joy! 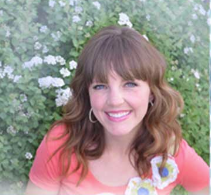 If you want to live more simply and joyfully, feel more organized, and are tired of being burdened down by all of the 'stuff' around you, then this is a must read! Run, don't walk, to get snag yourself a copy!! Have any of you read this? What were your favorite take-away points?